The Journal of entrepreneurship provides a multi-disciplinary forum for researchers and practitioners in the field of entrepreneurship and SMEs. It also focuses on emerging entrepreneurs, innovative business models and economic activities which can drive social growth. Researchjournali's Journal Of Entrepreneurship (RJOE) provides a multi-disciplinary forum for researchers and practitioners in the field of entrepreneurship and SMEs. It also focuses on emerging entrepreneurs, innovative business models and economic activities which can drive social growth and create new employment. It improves knowledge and understanding of entrepreneurship and small business management and helps researchers in these fields of research. 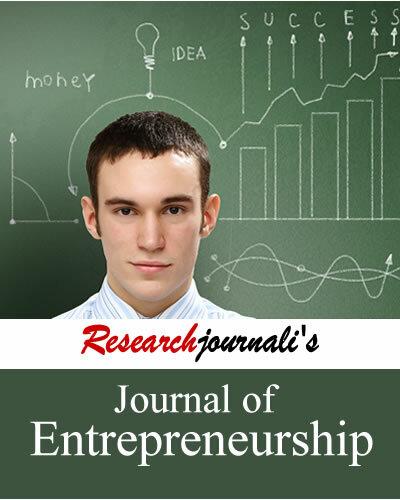 Journal of entrepreneurship publishes research papers on following topics such as.